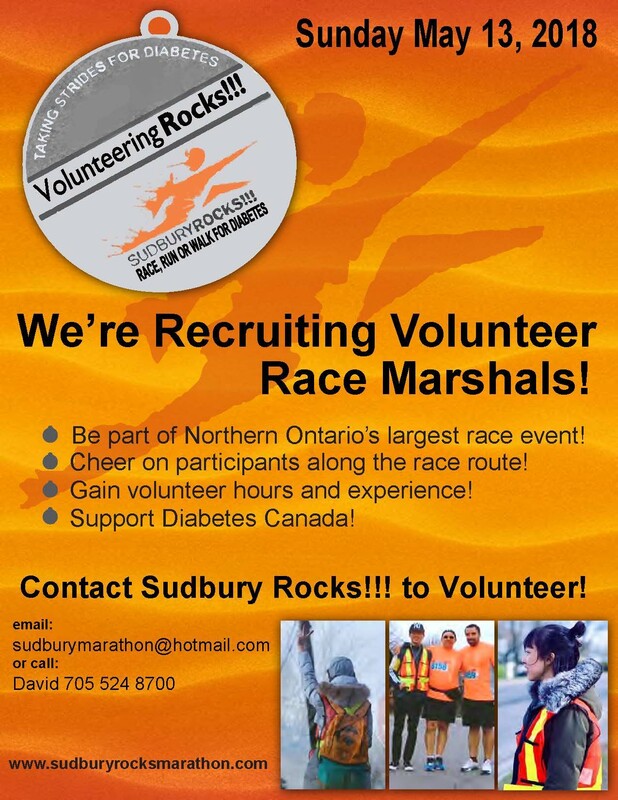 To help celebrate SudburyRocks!!! Marathon's 13th year, Eastlink's Ryan Manahan is putting a documentary together. 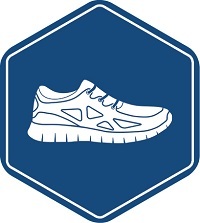 It will include a short history of the event plus interviews with a Run representative, a sponsor and supporter and participants taking part in this years run. There will be pre and post run footage. Rocks!! members Elizabeth Priebe (10K) and Sara McIlraith (Half Marathon) were very excited to take part in the first interviews. Look forward to a late May release. Most of us can only imagine it. But Helen Francis makes it a reality. The program leader, Digital Mine Transformation, at our Ontario Operations, is an ultra trail racer, running 100 miles on rugged forest paths, and up and down mountains. As if that’s not enough, Helen is a mother of five kids ranging in age from age 11 to 24, a long-time community volunteer and a multi-award winner, most recently the YMCA Sudbury’s 2018 Women of Distinction Award in the sports and active living category. “My kids think mom is completely crazy but they’re also quite proud of me,” chuckled Helen, who is married to Heiko Leers, manager of Reliability for Canada and the UK at our Operations in Ontario, and one of the inspiring home cooks featured in last year’s Vale News series, Food, Glorious Food! Helen, originally from the U.K., moved to Canada at age 21. She holds an undergraduate degree in mining geology, a master’s in mining engineering, and has worked at our company since 1998, with an additional recent focus on gender equity as a member of the Mining Industry Human Resources Council’s Gender Equity in Mining Task Force. Helen is currently the vice-chair for YMCA Canada and is the past chair for YMCA Northeastern Ontario. Her connection to the worldwide community-building non-profit organization goes back to her arrival in Canada. Helen took up ultra trail running a few years back. 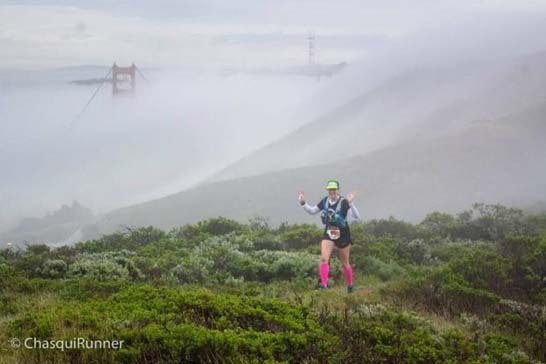 Ultra running, she explained, is defined as more than a marathon (42.2 kilometers). 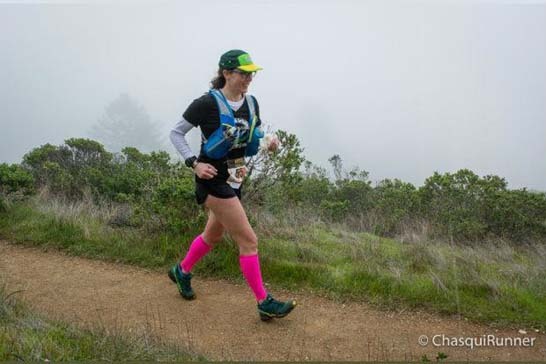 Trail running typically takes place on a multitude of different terrain such as mountains and forests, and “the harder the better” is how Helen likes it. Last year, she won first place for women in the Run Off-the-Grid 50-kilometre trail race in Mattawa, ON., last summer, captured second place for women in both the Haliburton Forest and Trail 80-kilometre (that’s 50 miles) ultramarathon and the Hamilton-based Sulphur Run (through) forest, run! So just how does she get it all done? Two words: time management. “There’s a lot of forethought that goes into my scheduling. If I’m dropping one of my kids at acting or basketball, I’ll run while they are in their activity, or I’ll go in the very early mornings,” she said, adding that she does her strength training with her husband. She admits having very little time for pure leisure, like sitting on a couch watching TV or reading a book. The Half marathon clinic is starting its 18 week program Thursday April 26th Followed by the Marathon Clinic Friday April 27th for a fall Half and Marathon respectively.